Have You Checked Out Crocker ArtSpots? The Crocker Art Museum would like to acknowledge and thank First 5 Sacramento for its support of the Crocker’s Early Childhood Initiative for the last three years. Through First 5 Sacramento’s school readiness initiative, the Museum was able to create weekend editions of programs like Artful Tot and Baby Loves and introduce a new Art Pack in Sacramento County Public Library system. The Crocker also launched the Art Spot initiative, a series of experimental, experiential art installations popping up around the Museum. Past iterations have included Gato, a large, plush cat and play space designed by artists Dartin Reyes & Michelle Lee; PL!NK, a kaleidoscopic immersive experience that dazzled with light, color, and reflections, by Glenda Drew and Jiayi Young; and Wingding, a festive, three-dimensional structure of wood and mirrors by frequent Crocker contributor Sonja White. 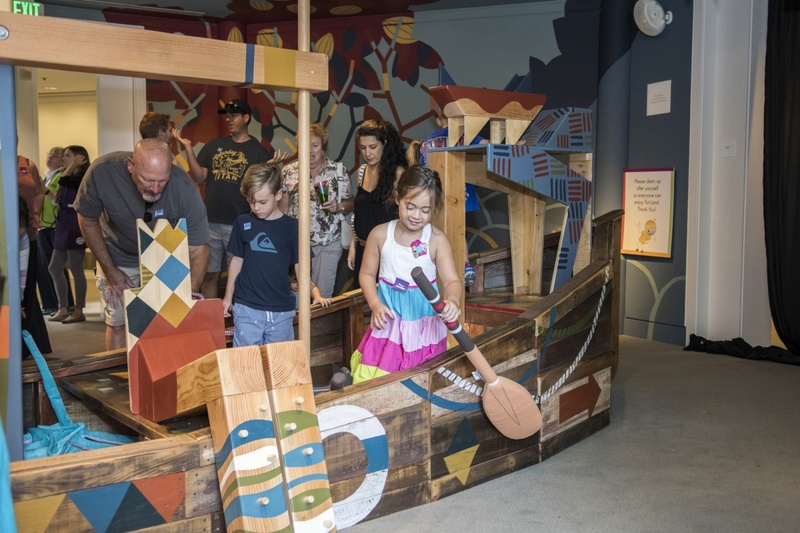 Through mid December, check out Dreamboat in TotLand and Kit 'n Kaboodle, a humorous, nostalgic wonderland inspired by artist couple Suzanne Adan and Michael Stevens's collection of vintage toys, featuring large and small play elements. Outside, in the E. Kendell Davis Courtyard, Sonja White has returned to craft Gem Tones, a musical contraption that invites creativity from visitors of all ages.